Tips to make changing the water easier. If you set up you aquarium properly in the first place, you shouldn’t have to worry about doing any large-scale cleaning. You will, however, need to change the water in your tank on a regular basis to remove chemicals and heavy metals, replacing it with fresh, clean water. Changing the water in the fish tank is a maintenance chore that, when done correctly and often, improves the quality of living for the fish in your tank. Even with the most efficient and sophisticated filtration systems set up, nothing works better that changing the tank water. One of the most important functions a water change serves is to remove accumulated toxins and chemicals from the tank water. If the nitrogen cycle has been properly established in your tank, there should be sufficient beneficial bacteria present to convert toxins like ammonia into less harmful substances like nitrate. 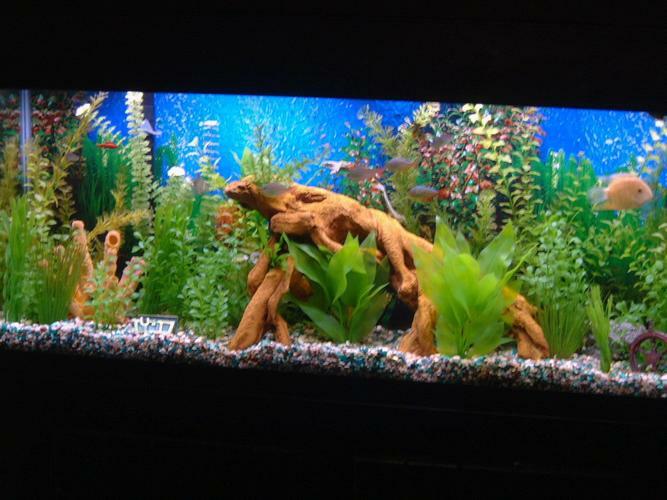 There is no way to remove nitrate from the tank, however, without performing a water change. In addition to removing harmful chemicals from your tank water, water changes also help to remove debris like waste and uneaten fish food – if left in the tank, these substances could contribute to a decline in water quality. 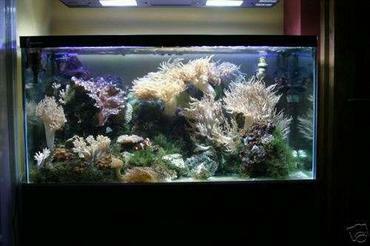 In this article you will learn the basics about performing water changes in your aquarium. How Often and How Much Water to Change? 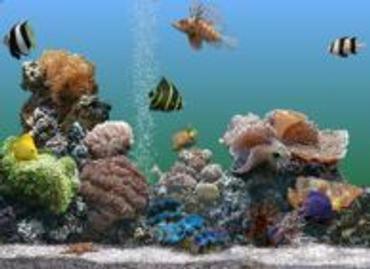 During the early days of the aquarium hobby, fish tank enthusiasts might empty the entire tank and perform a large-scale cleaning once a month. This method is now known to be unhealthy, however, because it results in the re-cycling of the tank which can be very stressful for fish. Not only is it a bad idea to change such a large proportion of the tank water at one time, but waiting so long to perform the change can also be detrimental. 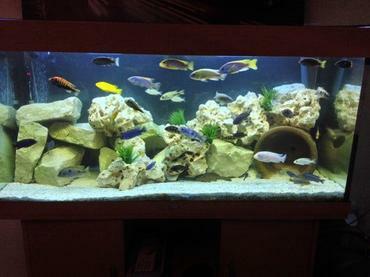 Experienced aquarium hobbyists now agree that it makes better sense to change a little bit of tank water as often as possible. Try to schedule a water change every two weeks at a minimum – ideally, however, you should be changing a portion of your tank water once a week. If changing the water every two weeks, go for a 20% tank change each time. 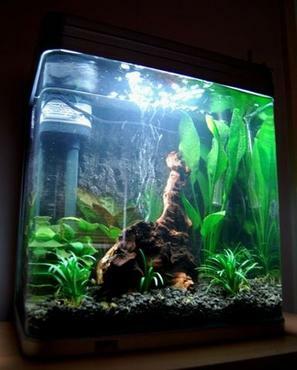 If you are able to perform weekly water changes, however, you may only need to change 10% to 15% of the tank water. When performing water changes, make sure to use an aquarium gravel vacuum and bury the head in the substrate – this ensures that the water you remove from the tank is the water that contains accumulated debris and toxins. When it comes time to refill the tank, make sure the water you use has been treated with a water purifier and that the temperature matches the temperature in the tank. 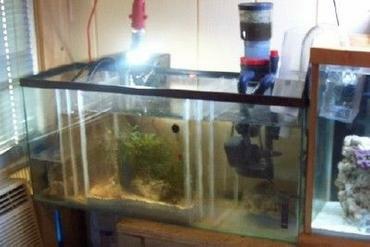 If your tank is very small, it may not be practical to use a gravel vacuum because it could remove too much water at once. Rather, use a cup to scoop the water out of the tank. You will still need to siphon the tank occasionally, but use a small tube. Make your water changes easier by purchasing a battery operated siphon. Traditional siphons are not difficult to use, however, since they use gravity to pull the water out of the tank and into a bucket. When siphoning, take the water from the bottom of the tank to remove as much mulm as possible as well. Rake through the gravel bed before siphoning to release the mulm in the sand. Pick up any large pieces of debris that could clog the siphon hose. 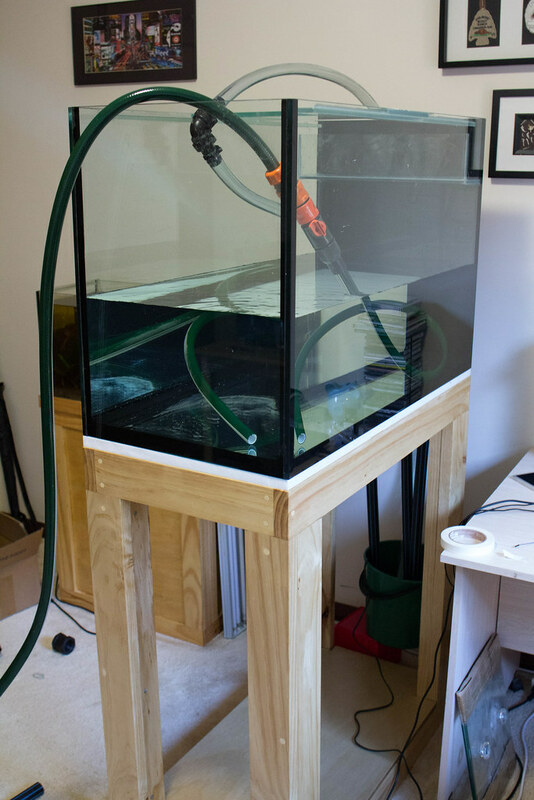 For reef systems you can setup "automatic" water changes coming out of the sump pump. Don't forget to condition any new water before adding it to the tank. Just like you needed to condition the water before putting it in the tank in the first place, you'll need to watch the chlorine and chloramines levels before adding new water to the tank on a routine basis. Let the water stand for 24 hours and treat with conditioner. Check the pH level of the water before adding it to the tank. Wait 5-10 minutes before testing the pH level of the water (not a problem since you should for the chlorine and chloramines levels to settle). Consider buffering the new water so that the pH is close to the tank water's pH. This article talks more about tank water chemistry in general. Get the new water to the same temperature and salinity (for saltwater tanks) before replacing the water. 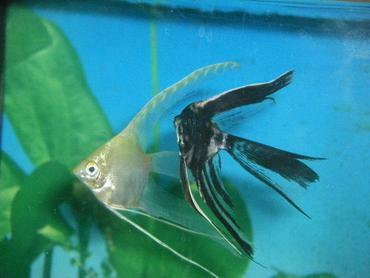 Many fish hobbyists prepare the new water a day before changing the tank water. Do not change too much water at a time. Unless conducting an "emergency" water change, limit the water change to 20% of the total volume. Otherwise, you risk stressing the fish with the abrupt water change. Turn the power off to the aquarium and clean your hands of any contaminants (including soap) that could harm the fish. While it is essential to have a high-quality filtration system installed in your aquarium, performing routine water changes may be the most important task you need to perform on a regular basis. Your filter can only do so much to remove solid and dissolved wastes from your tank water and your filter media will become less effective over time. The best way to truly remove harmful substances from your tank is to remove and replace small portions of tank water on a weekly basis. If you work this task into your weekly routine you will find that it doesn’t take much time at all but it makes a big difference for your fish and for your tank. 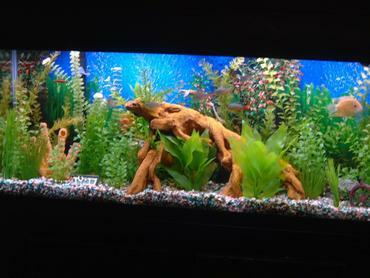 Different kinds of screensavers, top aquarium screensavers available today. 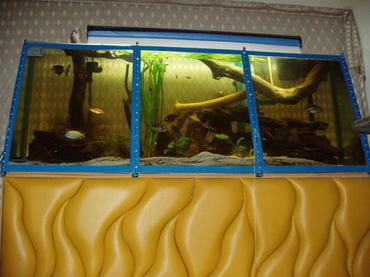 Why people use refugiums with their aquariums? Understanding the nitrogen cycle and its importance to a healthy tank. If your fish is suffering, you may want to consider euthanasia as an option to humanely end his pain. Learn how well stacked rocks can add personality and a natural look to your aquarium. History of Fish Tank Materials. Pro and con arguments for using acrylic tanks, common sizes, etc. 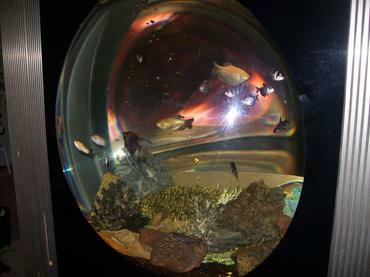 This article delves into the pros and cons of custom built aquariums - and more. 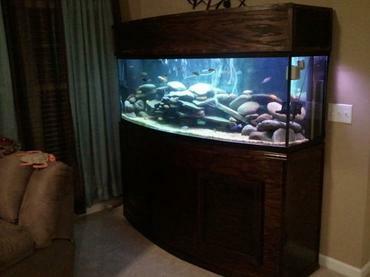 Discuss the role that aquarium stands have on the fish keeping hobby.